At yesterday’s WPBacon A More Accessible WordPress panel discussion, hosts Robert Neu and Ozzy Rodriguez invited several WordPress accessibility advocates to discuss accessible websites and the current status of accessibility in WordPress. Unfortunately, I wasn’t able to watch the live talk. 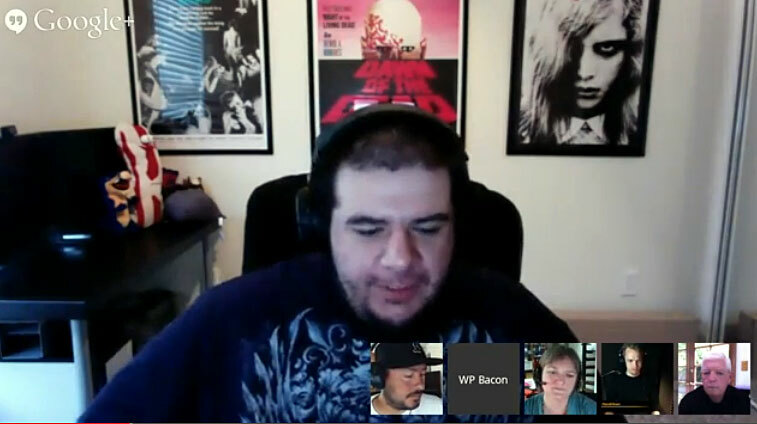 However, thanks to WPBacon posting their video online, I watched the chat this afternoon. Though I read several web accessibility posts and track accessibility news on Twitter, I learned several new things about WordPress accessibility. The goal of web accessibility is to make our content available to people of all abilities, including people with disabilities. Not everyone accesses the web the same way you do. Accessibility affects everyone. Consider a person with poor eyesight, someone who has broken their arm and can no longer use a mouse, a person who is hard of hearing, or someone who can’t distinguish different colors. Accessibility has been ignored by the majority of designers and developers. Main issue is not that designers/developers don’t want to create accessible websites; it’s that they’re not aware how to start. Education is needed. The easiest way to learn about accessibility is to experience it first-hand. Put your mouse away for an hour (I recommended this accessibility technique earlier this year.) Turn on VoiceOver on your iOs device or TalkBack on your Android device. Install the ChromeVox screen reader extension in Chrome and listen to how Google “reads” your website. You’ll be amazed at the content you’re not able to access and what information you’re not including on your website. Look for websites doing accessibility right. Examples we can learn from include the BBC and Gov.uk. The BBC has published Accessibility Guidelines highlighting methods to make their websites accessible. Government websites are required to be accessible. Since Drupal is far ahead of WordPress in terms of accessibility, WordPress is losing out to Drupal for government sites. The WordPress Accessibility team is doing a great job of making the WordPress backend accessible. The team works closely with WordPress core developers to test and advise on WordPress accessibility. Unfortunately, the front-end of WordPress (themes and plugins) aren’t accessible. .5 percent (less than 1 percent) of WordPress themes are accessible. Only 13 out of 2,531 themes in the WordPress theme directory (as of May 28, 2014) are tagged with the label “accessibility-ready”. Creating accessible WordPress themes isn’t hard. WordPress Accessibility Guideliness for themes covers images, media, headings, link text, keyboard navigation, contrast, skip links, and forms. Currently, the Theme Accessibility Audit offers an optional review for themes submitted with the “accessibility-ready ” tag. WordPress developers can start improving accessibility by ensuring keyboard navigation is available. Rian pointed out that the majority of accessibility issues would be resolved if keyboard navigation works. The Underscores theme provides a good foundation for creating an accessible theme. Created as a theme for developers to build on, Morten recommended and discussed the accessibility features already built into Underscores (except for accessible drop-down menus, which can be replaced by the code snippet on the A11yProject site). Joseph invited the WordPress community to get involved with the Make WordPress Accessibility team. There’s a need for technical writers, developers, outreach, theme developers, and documentation specialists on the team. The team has a weekly IRC chat on Wednesdays at 19:00 UTC. All are welcome to join. If you’re on Twitter, connect with the people doing WordPress accessibility work by following the #wpaccessibility#wpa11y tag. Or follow WordPress Accessibility on Facebook. Several sites, extensions, and blog posts were mentioned during the chat. Here are a few you may find helpful in learning about and testing accessibility on your sites and applications. The Accessibility Project: great accessibility resource of posts and checklists for the front-end developer. Check out the Patterns widget and pattern library. Led by Dave Rupert, the project was kicked off in 2013. Several web developers contribute updates and posts regularly (read how A11yProject started). Contrast Ratio: online tool created by Lea Verou, that allows you to ener background color and text color to test the color contrast for testing Web Content Accessibility Guidelines (WCAG). Web Content Accessibility Guidelines Overview: a quick review of the guidelines from the World Wide Web Consortium (W3C) Web Accessibility Initiative (WAI). WAVE: web accessibility evaluation tool created by WebAIM allows you to quickly test the accessibility of a web page. Also available as a Firefox addon.